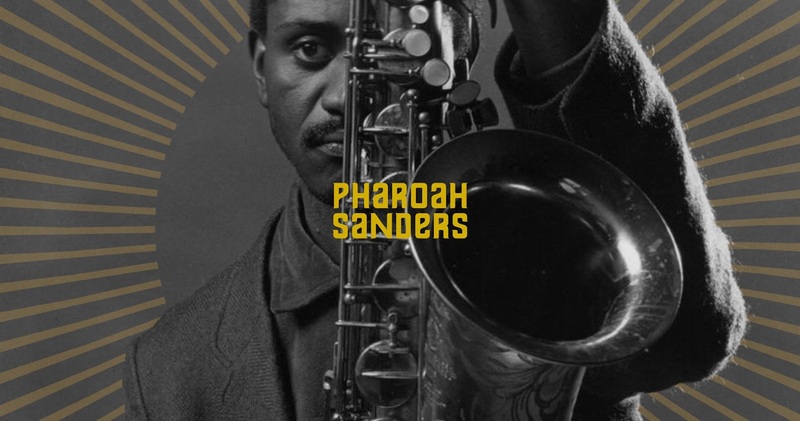 Pharoah Sanders possesses one of the most distinctive saxophone sounds in jazz and is revered by a great many jazz fans, having made his name with John Coltrane’s spiritually-driven expressionistic ensembles of the mid-60s. 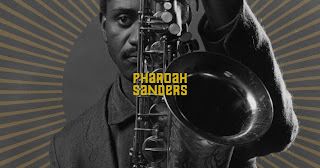 Harmonically rich and heavy with overtones, Sanders’ sound can be raw and abrasive. Yet, his later music is guided by more graceful concerns and has embraced wider resources, from free to mainstream; some of his best work is his most accessible. As a mature artist, Sanders has discovered a hard-edged lyricism that has served him well. 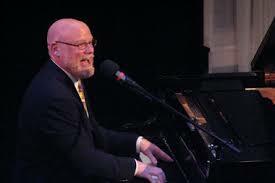 Tom Millar is a London-based pianist, composer and bandleader. He was born in Sydney, Australia and grew up in London. After reading Music at King’s College, Cambridge, he studied Jazz Piano and Composition for a Masters at the Royal Academy of Music, London, and with Django Bates in Bern, Switzerland. His debut album with his quartet,Unnatural Events, will be launched on September 20th 2017 at the Pizza Express Jazz Club, Soho, London. It is coming out on independent jazz labelSpark!, and was recorded with funding from an Emerging Excellence Award (Help Musicians UK), the Jazz Services’ Recording Support Scheme, and a successful crowdfunding campaign on Kickstarter. The quartet plays Tom’s original music, inspired by places and people that are important to him. Tracks include the soulful ballad 'Park Hill’; his setting of the proto-environmentalist poem by Gerard Manley Hopkins, 'Inversnaid'; and rock-out grooves in 'The Seafarer', 'Power Chord Thing' and 'Woad'. It features some of the most in-demand young jazz musicians in London: Misha Mullov-Abbado on bass, Alex Munk on guitar and Dave Storey on drums. Singer Alice Zawadzki features on two tracks on the album. 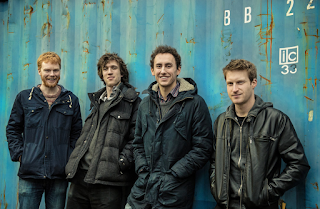 To support the release, the quartet will be embarking on a 20-date UK tour. 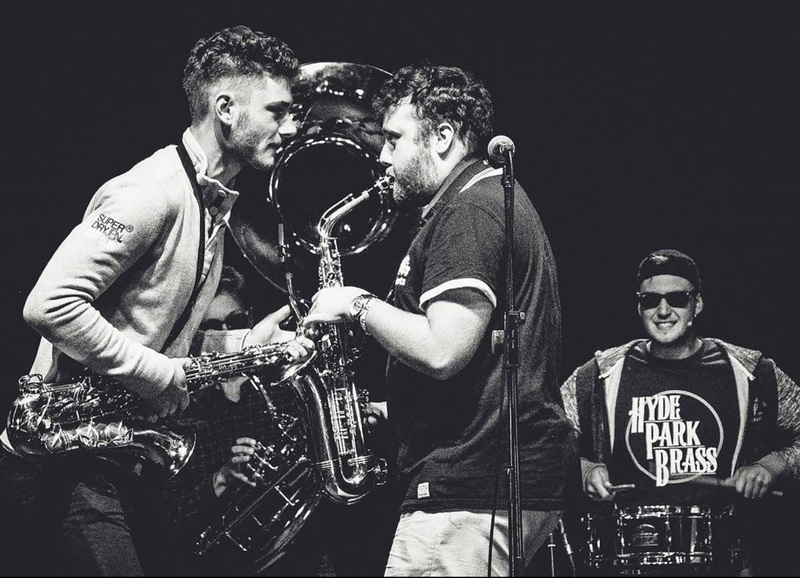 September at The Globe promises a varied abundance of jazz - trad, gypsy, bop, free, contemporary, local, international - including some exciting young talent and some very experienced veterans. 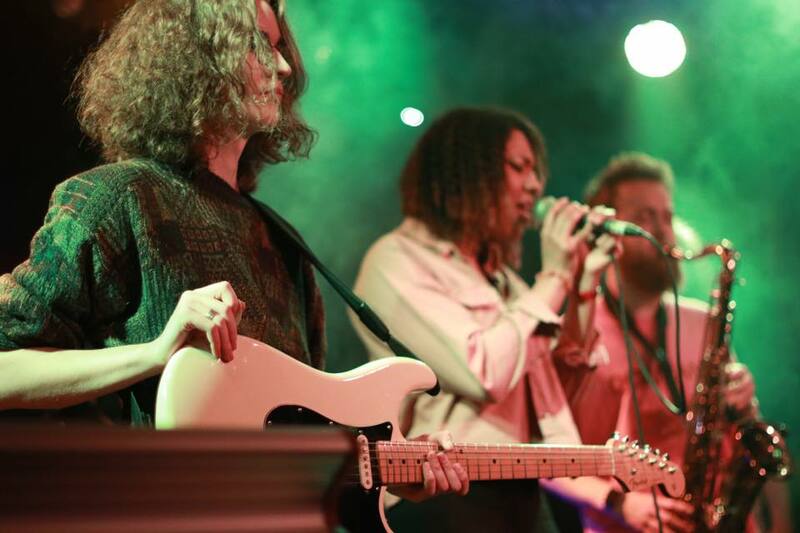 Jazz is just part of the extensive music offering at The Globe - there is also rock, folk, punk, blues, garage. 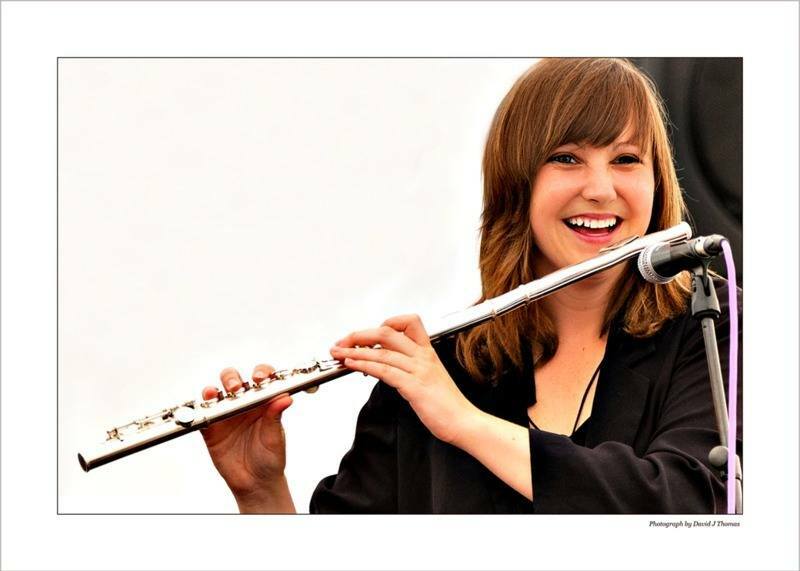 Non-jazz highlights include singer songwriter Katie Mac on Thursday 21 Sep as part of her UK tour and the album launch by award-winning young folk band Pons Aelius on Friday 22 Sep. Please check our website for the full programme at The Globe (including many non-jazz gigs). The Globe, Railway Street, Newcastle NE4 7AD. Grammy-nominated pianist and composer Uri Caine uses classical music as a ‘springboard for improvisation’. 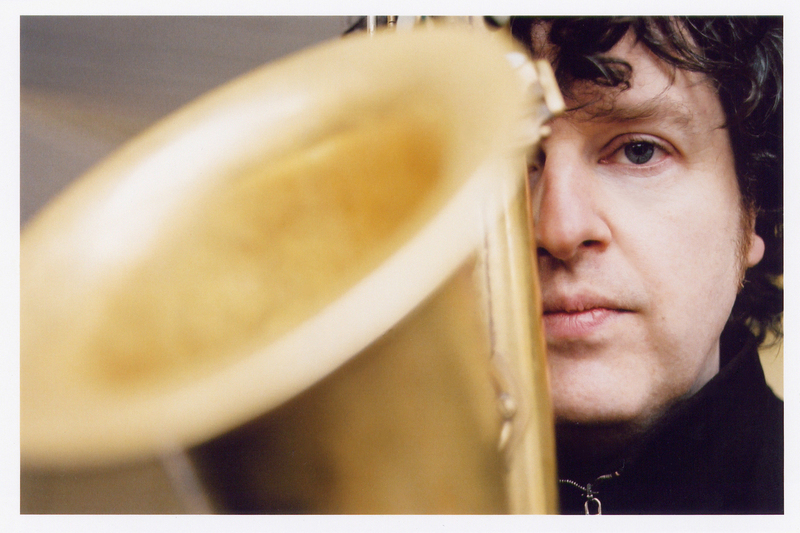 His collaborations extend from the Beaux Arts Trio to John Zorn and from the Woody Herman Band to the Moscow Chamber Orchestra. In this rare UK solo concert, he returns to some of the seminal recordings he made of Bach’s Goldberg Variations, as well as reimaginings of pieces by Mozart and Mahler, mixed up with jazz standards and his own original compositions. Music for Strings features violinist Jenny Scheinman, violist Eyvind Kang and cellist Hank Roberts. They take music from Electricity, Frisell's new collaboration with filmmaker Bill Morrison; pieces from their Woody Guthrie project and Frisell’s albums Big Sur, Richter 858, Unspeakable and History, Mystery. The evening also includes music inspired by Allen Ginsberg's Kaddish and Hunter S. Thompson's Kentucky Derby. Something of a mystery here since at the time of going to press, the line-up is indeterminate. Nevertheless, Bradford’s King of the Reed NEVER disappoints regardless of the setting so I am sure we will have our jazz socks blown well and truly OFF!! ‘Iles displayed the rhythmic surprises, shape shifting phrases, playful dialogue with a mix of ruggedness and reflection that make her comparable with the great John Taylor.’ Guardian. 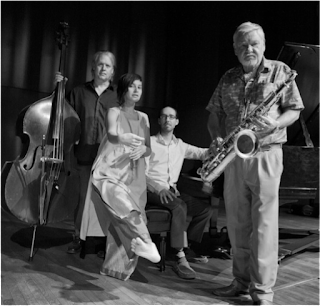 Dave Gelly’s review says it all “There’s something especially intimate about a small jazz combo without drums, like eavesdropping on a conversation among friends. 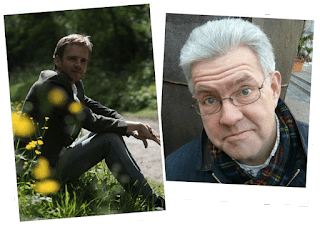 These three – saxophonist Geoff Simkins, pianist Nikki Iles and bassist Dave Green – are old friends anyway, so in this case it’s more than just an impression. Simkins is often described as a “cool” player, meaning measured, subtle, but by no means placid. There are plenty of surprises in these nine tracks to keep attentive ears busy. The same goes for Iles and Green, and the interplay among all three is joy. The material includes a couple of rare standards and compositions by, among others, Kenny Wheeler and Lee Konitz”. 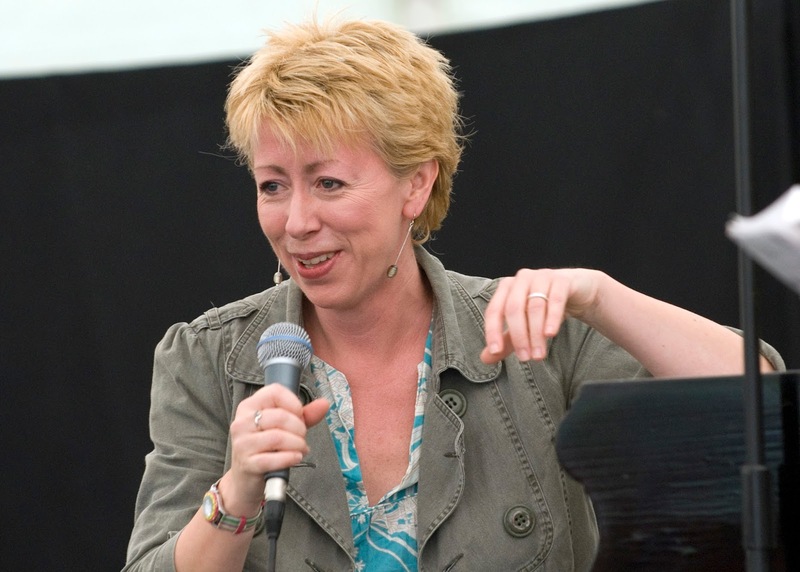 Nikki Iles is a jazz pianist and composer as well as as a widely respected teacher. She is Professor of Jazz Piano at the Royal Academy of Music and Middlesex University as well as giving master classes around the world. 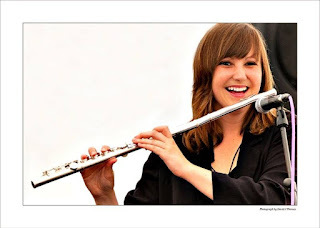 She has been a driving force behind the Jazz syllabus at the ABRSM and continues to publish with Oxford University Press. great works of Sammy Cahn, Cole Porter, Harold Arlen, Johnny Mercer, Cy Coleman and other classics from 'The American Songbook' with ease, Paul possesses a vocal versatility, which enables him to effortlessly drift into other musical genres. Tickets for the event which takes place at 12.30pm on Sunday 24th September 2017 at our usual venue will available from http://www.justaddtickets.co.uk . 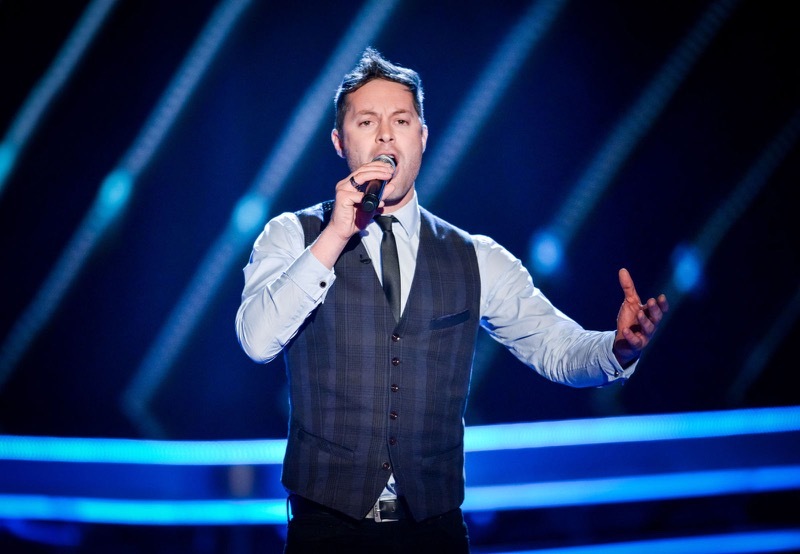 As will tickets (priced £10) for a Wigan Jazz Club Special Event taking place on October 18th at Wigan Cricket Club, Bull Hey, Wigan featuring South Africa’s Tenor star Dan Shout who will be appearing with The Dan Whieldon Trio. It was great that last year our move to the Crookes Social Club attracted so many new people. 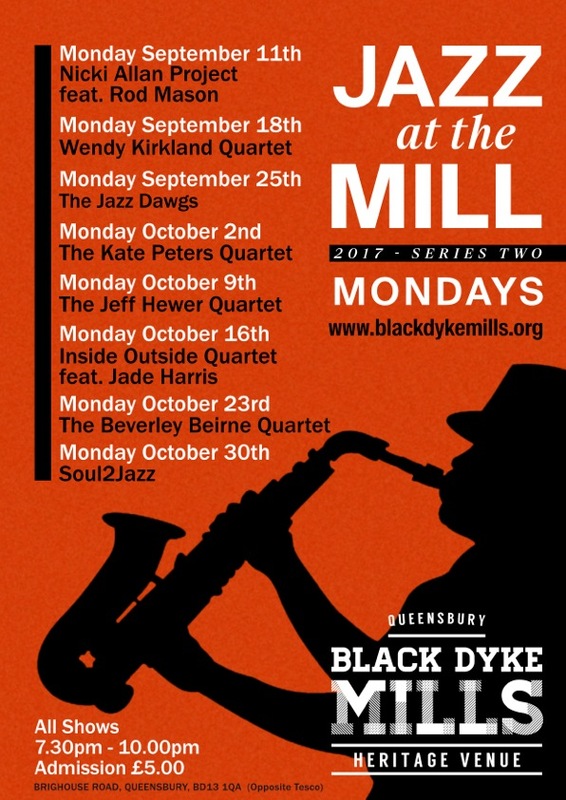 That should continue with the new Sheffield Jazz autumn season, with a wide range of bands booked for everyone to enjoy great music. There's a top-notch programme lined up, offering a very good mix of modern jazz styles and artists. Michael Janich’s Quintet, and leading US saxophonist Craig Handy are visiting Sheffield Jazz from the USA. 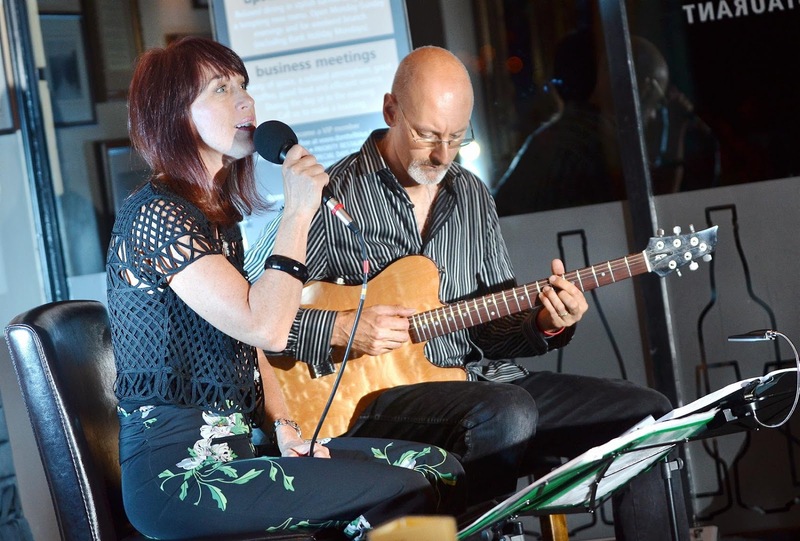 The Christine Tobin Quintet, supported by Phil Robson on guitar, will play the music and songs of one of the great songwriters of the last century, Leonard Cohen. We also will host some of the best British musicians, including one of the nominees for the 2017 Hyundai Mercury Prize Laura Jurd's Dinosaur. 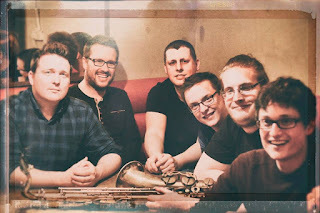 Brandon Allen will bring his scintillating three-horn sextet to Crookes. 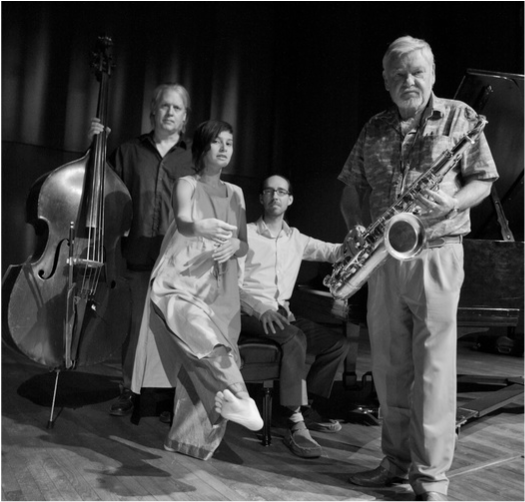 We will also welcome the Dave O'Higgins quartet, with their straight-ahead swinging sound somewhere between Dexter Gordon and John Coltrane, while Sheffield favourite Julian Siegel brings his exciting and powerful quartet. 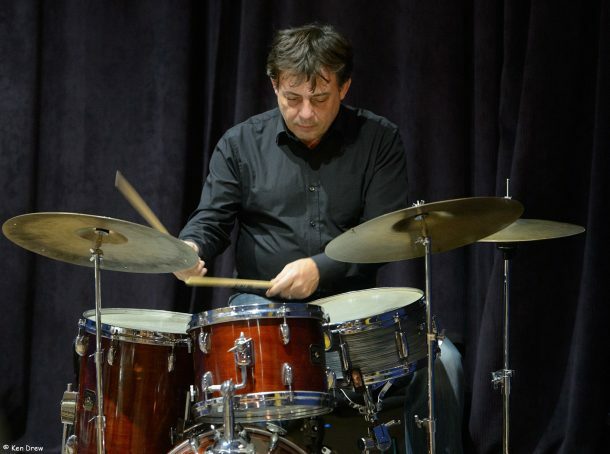 And we will greet the Stan Tracey Legacy Octet - whose players include most of Stan's last Octet, led by his son Clark and with Steve Melling on piano. We also visit the Crucible Studio, when Jason Rebello returns with his trio. Autumn is around the corner but there is no let up in jazz activity across the north east of England. A new festival of jazz and improvised music, brass (no muck) at an agricultural show, a gypsy jazz campfire gathering, a tasty treat in a deli, an appointment in the abbey, a Heritage Open Days jazz gig and a CD launch, definitely something for everyone. Nikki Iles Quartet can be heard in the magnificent setting of Hexham Abbey (Sep 23) as part of this year’s Hexham Abbey Festival of Music & Arts (the sixty fifth edition). Iles will be working with Stan Sulzmann, Pete Turner and Dave Walsh. Rather more small scale, but nonetheless of equal merit, the Virtuoso Jazz Trio return to St George’s URC, Morpeth in Northumberland as part of this year’s Heritage Open Days scheme. Octogenarian Canadian ex-pat clarinetist George MacDonald leads the VJT in the most engaging manner and a programme of GASbook delights is assured (Sep 9). Jazz in a field? The Northern Monkey Brass Band will entertain an audience of homo sapiens and bovine listeners at the Stanhope Show in Upper Weardale during the afternoon of Sep 10. Round-up the Hot Club devotees for an all day Gypsy Jazz Workshop (Sep 16) at Barn at Easington. The Thorp Lea East Farm site in Easington Colliery will stage non-stop gypsy jazz culminating in a real campfire jam session! More Manouche happenings in the somewhat more humble surroundings of Claypath Delicatessen in Durham City on the afternoon of Sep 24th with Mick Shoulder’s excellent Swing Manouche on the menu. Jeff Barnhart is the big name American in the region this month. The pianist will renew his working relationship with reedsman John Hallam at St Augustine’s, Darlington (lunchtime, Sep 2). A matter of seven days later, again in Darlington, not one, but two, first rate pianists team up once again for what has become an occasional duo gig. Opus 4 Jazz Club was packed the last time Darlington’s Dean Stockdale worked with David Newton. This renewal (Sep 8) is likely to be just as busy. Hexham Jazz Club meets monthly at the Fox Inn. The doyen of north east pianists, Mr Alan Glen, will enjoy working at the Fox, an attentive audience is guaranteed, as is an encore. Put the date in the diary – Tuesday 5. Emerging pianist Fergus McCreadie will make a big impression at the Jazz Co-op’s Globe public house (Sep 9), a place Mr Glen knows well. Later in the month (23) guitarist Tobie Carpenter turns up at the Globe with his organ trio – Jamie Safir, organ and David Ingamells, drums – at Jazz Co-op HQ (Sep 23). This promises to be a gem of a gig. 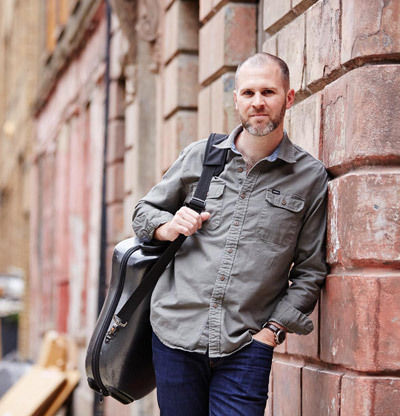 Tyneside’s guitar wizard Mark Williams has a new CD on the stocks and he is to launch it at the Jazz Café (Sep 23) as part of the Newcastle Festival of Jazz and Improvised Music. The folk world’s Andy Lawrenson unveils his new jazz trio – Simon O’Byrne and Paul Grainger – at the Jazz Café on Sep 3, Courtney Pine plays tenor saxophone for the first time in ten years on Sep 21 at Sage Gateshead, and World Service Project pop up at Hoults Yard, Newcastle as part of the three day, largely non-jazz, Home Gathering event (Sep 15). Another busy month! Here’s The Lescar programme through to end of October. We cover the full range of possibility from classic jazz trio line-ups with a difference in Blind Monk and Revival Room (both featuring the energetic and creative Johnny Hunter), to the full-on double sax/guitar rock-influenced blast of Perpetual Motion Machine, and freedom and composition neatly balanced in the music of Entropi, led by the wonderful Dee Byrne. 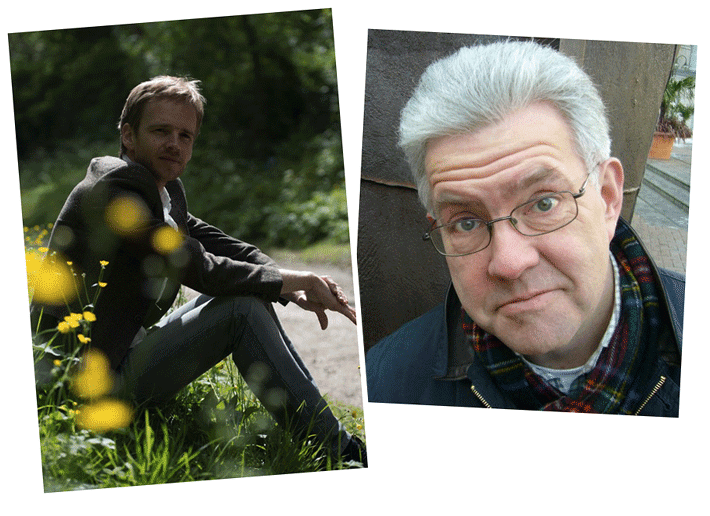 We’re extremely excited to welcome the incredible Arun Ghosh in October, and pianist Will Butterworth is joined by the much loved poet and voice of Radio 3’s The Verb Ian McMillan, reading text from Oscar Wilde, in September. 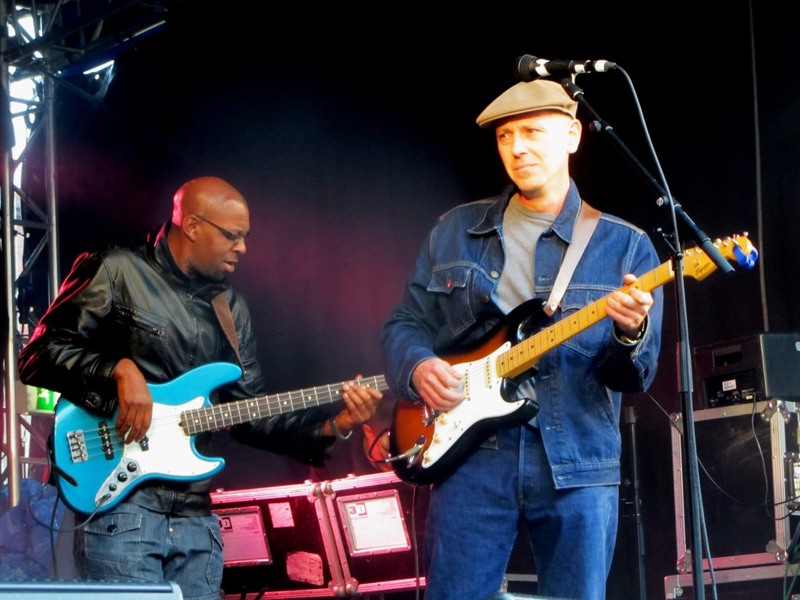 Nik Svarc brings his Scofield/Frisell inspired guitar trio in October, and another pianist, Philip Clouts makes a long overdue appearance later in the same month bringing a relaxed and infectious African-inspired vibe to our backroom. Finally I reach a significant birthday in October and what better way to celebrate than an ELEVEN piece band of brilliant emerging talents led by Birmingham-based bass clarinet/baritone sax/flute player Alicia Gardener-Trejo, and featuring her own compositions and arrangements. 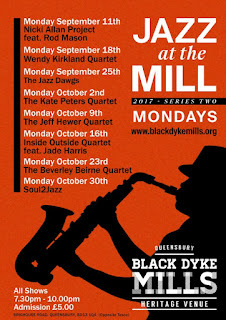 Here is the information for our new Jazz at the Mill season. Our day has changed from Tuesdays to Mondays. We have some of the same faces from season with Nicki Allan returning with her own originals project featuring Rod Mason. 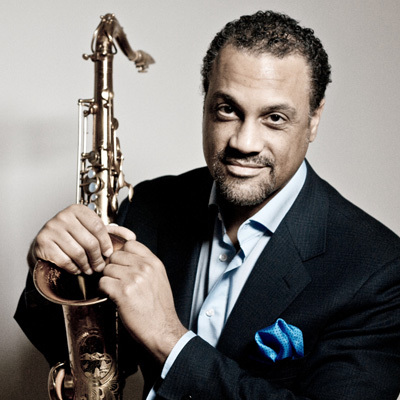 Similarly, Soul2Jazz featuring Jeremy Platt, the Jazz Dawgs featuring Adrian Ingrams, and the Kate Peters Quartet are making welcome returns. We also have two new featured vocalists with Wendy Kirkland Qt. and the Beverley Beirne Qt and guitarist Jeff Hewer is appearing with his trio. All in all it promises to be an interesting second season with a good mix of styles and music and some new faces. As before, there is tea, coffee, homemade soup and cake available, a warm welcome, good vibes and you can bring your own booze. It's £5 in and starts at 7.30pm. A bit busy this autumn @JazzLeeds! It’s our tenth anniversary this year so we’re celebrating! We've been very encouraged by the Festival Jazz Day we ran in Millennium Square Leeds in August so we're now going ahead with something more ambitious in July 2018. We’re changing our name too from Seven Jazz to JazzLeeds! We've prepared a feast of fantastic music for you in our packed autumn programme at our Seven Arts and Inkwell venues. Rising Danish star vocalist and saxman Mads Mathias and leading US saxophonist Craig Handy are both us. 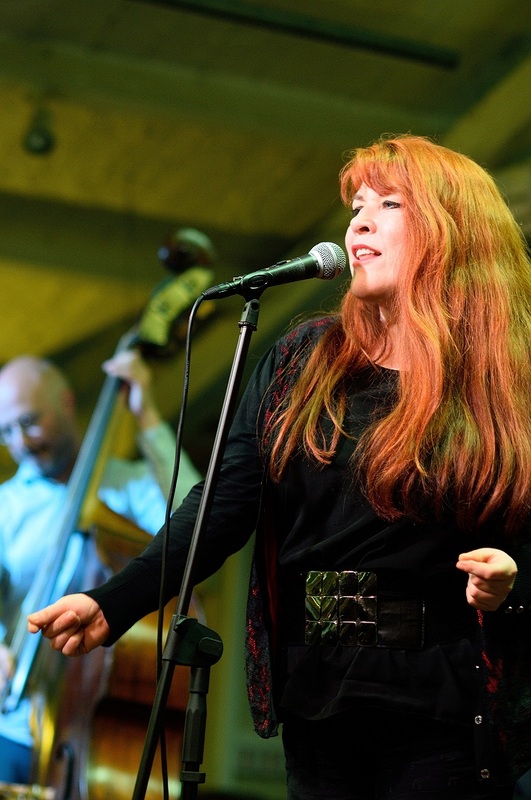 The Christine Tobin Quintet, supported by Phil Robson on guitar, will play the music and songs of one of the great songwriters of the last century, Leonard Cohen. We also will host one of the most intriguing jazz and poetry commission of 2017 -Alan Barnes and Josie Gray's all star "Fish Tales" septet . 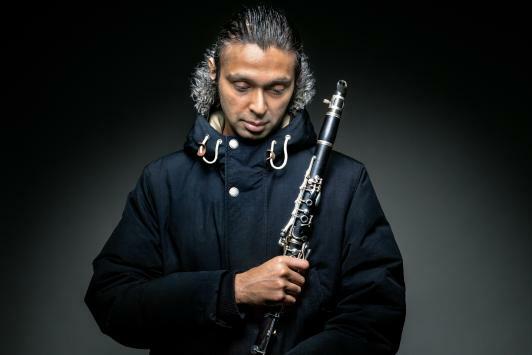 Arun Ghosh will bring us his intriguing mix of hip-hop, Indian classical and folk, Western classical, rock, pop and avant-garde. We will greet The Stan Tracey Legacy Octet - whose players include most of Stan's last Octet, led by his son Clark and with Steve Melling on piano. We also have a host of big bands - the legendary Ronnie Bottomley Jazz Orchestra, the Strictly Smokin Big Band and the Tom Sharp Jazz Orchestra plus South African saxman Dan Shout, Dutch pianist Dom Marshall, Gypsy Jazz from Lachepen and music from Eastern Europe and the Mediterranean from Turkish and Greek folk music to Romani music and Klezmer from Don Kipper - and many more bands from Leeds and the region - over 40 bands will play for us this autumn! 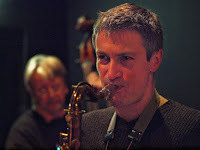 Dave O’Higgins - tenor and soprano saxes ,Graham Harvey – piano, Geoff Gascoyne – bass, Sebastiaan de Krom - drums. 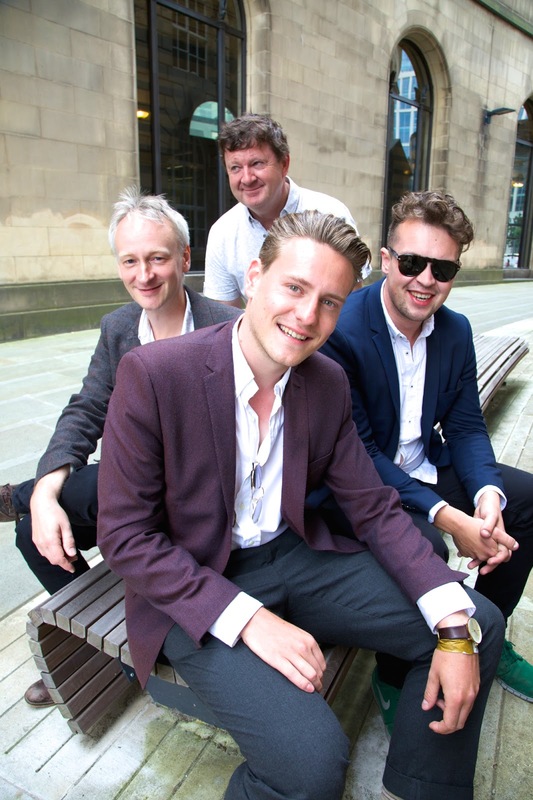 Ilkley Jazz Festival gets underway this week starting Wednesday 16th and running to Sunday 20th August. 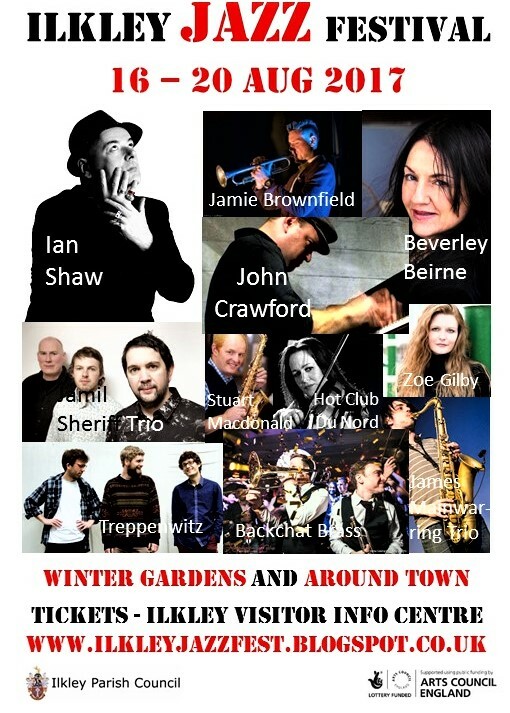 Renowned vocalist Ian Shaw will headline, with a special performance at the Winter Gardens on August 18th performing material from his latest album, Theory of Joy. Shaw is internationally regarded as one of the leading jazz voices and is also recognised for his humanitarian work supporting refugees. 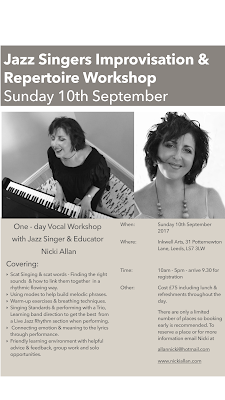 Fans of vocal jazz won't just have Ian to keep them satisfied; Zoe Gilby opens the festival on 16th August Beverley Beirne sings Carmichael on 19th August and Julie Edwards performs on 17th. Inkwell Arts is the former Shoulder of Mutton pub 31 Potternewton lane Chapel Allerton Leeds LS7 3LW. It is the venue for some of the Seven Jazz Leeds gigs so there is a good quality piano and a pa there. Vote now in the Parliamentary Jazz Awards 2017! Just one day to go now for you to vote in the most prestigious of the UK jazz awards - the 2017 Parliamentary Jazz Awards. The deadline is 12 noon on Wednesday 16th August 2017. Last year 2016 Seven Jazz Leeds was the only winner from the North - so lets see if we can get some others from the region this year ! The awards are organised by the All Party Parliamentary Jazz Appreciation Group (APPJAG), co-chaired by Kelvin Hopkins MP and Lord Colwyn, and supported by PizzaExpress Live in conjunction with Peroni. 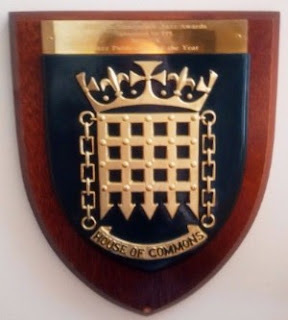 The awards will be made not at the Houses of Commons this year (they are, after all rather busy...) but at PizzaExpress Live in Holborn on Tuesday 10th October. The final deadline for entries is 12 noon on Wednesday 16th August 2017.